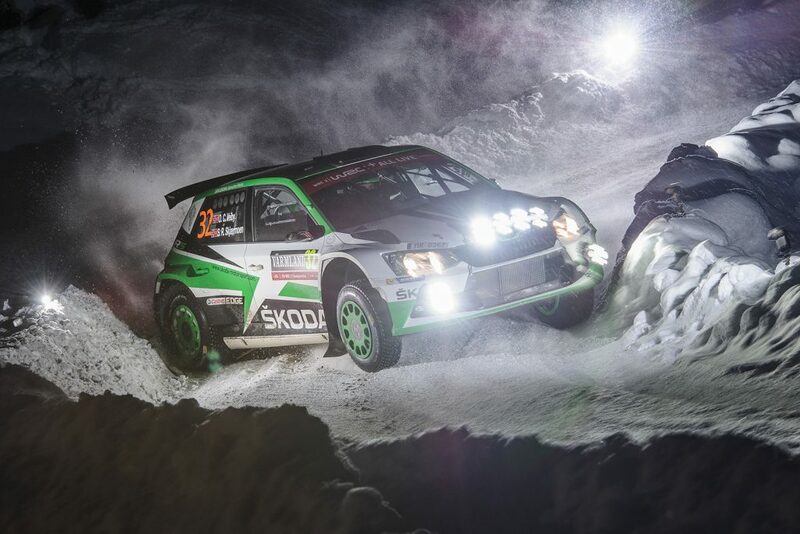 Dominant rally wins for Fabian Kreim and Kalle Rovanperä sees the ŠKODA FABIA R5 drivers win German and Latvian Rally Championship titles, while two FABIA R5s make the podium at the Rallye International du Valais in Switzerland. Fabian Kreim (title photo above) secured the German Rally Championship title in the final round of the season with a dominant victory at the 3-Städte-Rallye. The 24-year old German and his co-driver Frank Christian rounded off a superb season with their sixth victory in eight events entered, and it was one of their most impressive. They won six of the eleven stages in their ŠKODA FABIA R5, which was prepared by the BRR Baumschlager Rallye & Racing Team for ŠKODA AUTO Deutschland, never coming lower than third in the special stages, as they led from start to finish and eventually won by a margin of 52.5 seconds. Kreim was assured of victory after Christian Riedeman – the only other driver, who could pip him – was forced to retire on stage five. That led to celebrations at the next service and Kreim and Christian drove the final four stages with ‘Champions 2016’ sticker on the bonnet of the FABIA R5. But Kreim still drove with professionalism to ensure winning the rally. This title was the sixth German Rally Championship win for ŠKODA, who have been the dominant manufacturer over the past fourteen years. Matthias Kahle set the ball rolling with his first victory in an OCTAVIA WRC in 2002. Three more titles followed. In 2004 he became German rally champion with an OCTAVIA WRC again and then the following year with a FABIA WRC. And in 2010 Kahle claimed his fourth title, this time in a FABIA S2000. Two years later, in 2012, it was Mark Wallenwein who was crowned champion in a FABIA S2000. 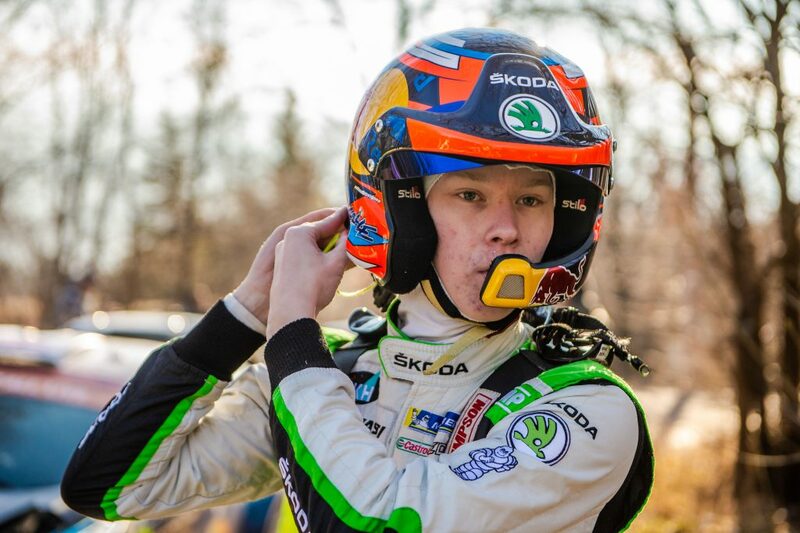 And with Kreim’s victory this year, ŠKODA is now the joint most successful manufacturer (with two others) in the history of the German Rally Championship. While Kreim understandably took the headlines, there were other good performances by ŠKODA drivers too. Dominik Dinkel and his co-driver Christina Kohl have already impressed this season with some strong performances in a FABIA S2000. And on their debut drive in a FABIA R5, they excelled again, finishing second behind Kreim for the Brose Motorsport team, more than a minute clear of the rest of the field, and winning two stages along the way. 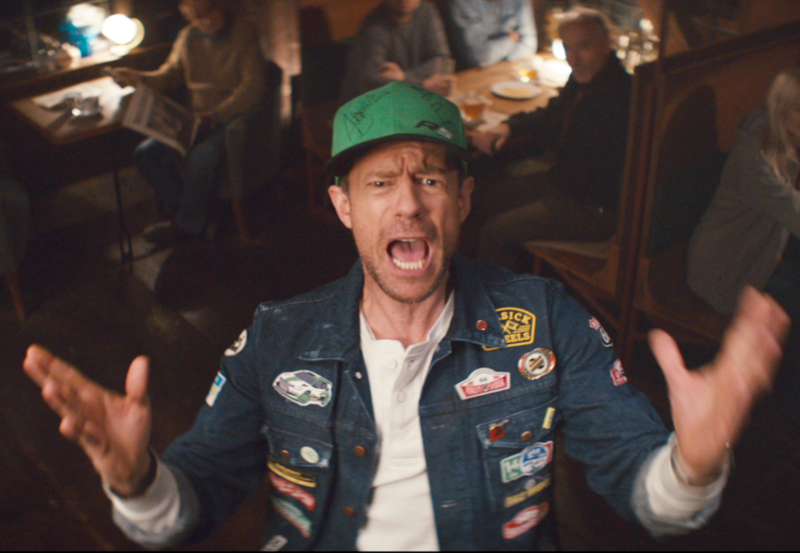 Maximilian Koch and Lisa Brunthaler were driving for the Rallye IG Aussernzell e.V. team in a FABIA S2000 and they also performed well to finish fifth, while the Czech duo of David Tomek / Marek Zeman came home in ninth position. Fabian Kreim will now return to the Far East, where he will be competing in the FIA Asia-Pacific Rally Championship at the Malaysian Rally from the 28th to 30th October. The Rallijs Latvija was the eighth and final round of the Latvian Rally Championship and it saw the young Finnish driver Kalle Rovanperä, driving a ŠKODA FABIA R5 for the TGS Worldwide OU team, secure victory and with it, the Latvian Rally Championship title. Rovanperä, who is just 16 years old, has been the dominant force throughout the Latvian season with this being his fifth win of the year. He becomes the youngest ever Latvian Rally Champion. It was a three-horse race for the win in this rally, with Rovanperä and his co-driver Risto Pietiläinen, battling it out with fellow FABIA R5 pairing Nikolay Gryazin / Yaroslav Fedorov and the experienced Latvian Jānis Vorobjovs. 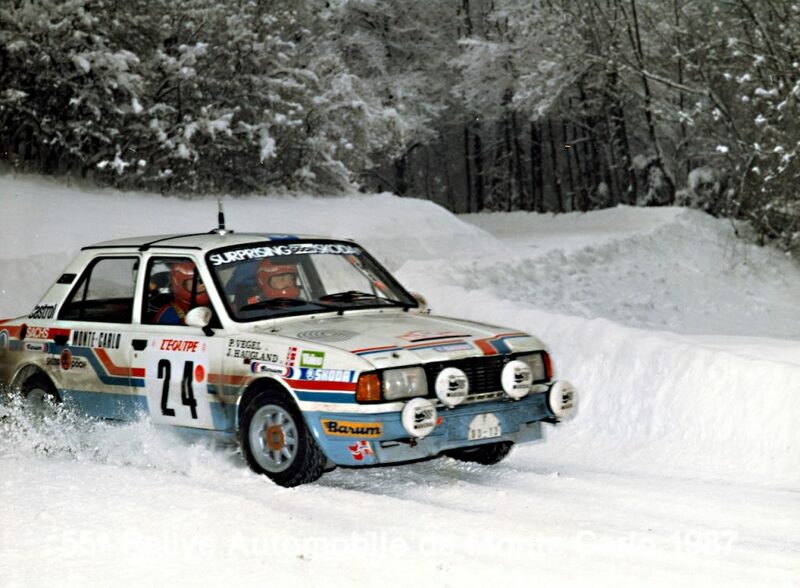 Rovanperä held a slight lead at the end of the first leg of this mixed surface rally, but he pulled away in the second leg, winning all five stages to clinch the victory and the title. It was a disappointing finish for Sports Racing Technologies team driver Nikolay Gryazin however. He managed to finish the rally in second place but was subsequently awarded a 4-minute penalty which saw him drop back to eighth place. There was an impressive result for the two ŠKODA FABIA R5s competing at the Rallye International du Valais in the 7th round of the Swiss Rally Championship. In the biggest event on the Swiss rally calendar, Jan Černý / Petr Černohorský, driving for the Mogul Czech National Team, finished 2nd overall, just 40 seconds behind the winner. Meanwhile, just 1.2 seconds further back were Jérémie Toedtli / Alexandre Chioso in their debut drive in the car for the Ecurie des Trois Chevrons team. The Rallye National des Monts Dôme in France saw Pascal Trojani claim victory alongside his co-driver Jean-Noël Vesperini in their ŠKODA FABIA R5. 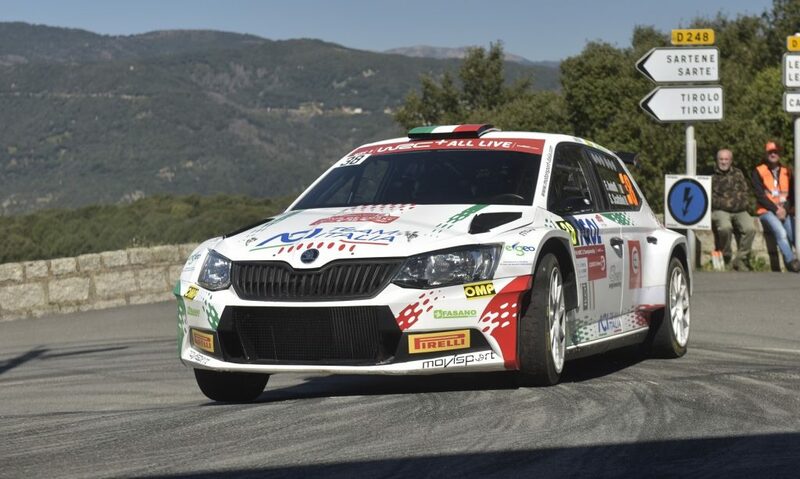 They finished 32 seconds ahead of the second-placed car; a FABIA S2000 driven by Stéphane Brun / Cyril Machi. 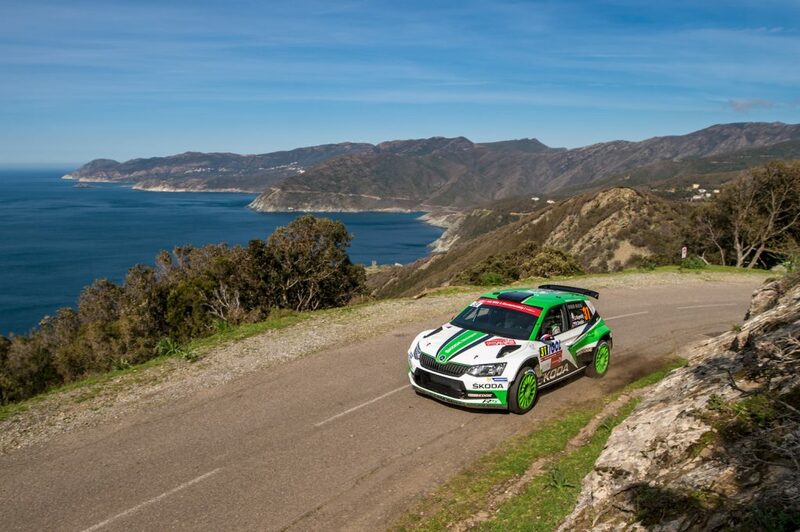 There was further French success for the FABIA R5 at the Rallye National Alpes d’Azur – Saint-Laurent where Julien-Alexandre Courchet / Lara Letourneau won by a margin of 2 minutes 4 seconds. Deeside, north Wales; 28th to 30th October; 13th round of FIA World Rally Championship; gravel event, 22 special stages, around 330km competitive distance. 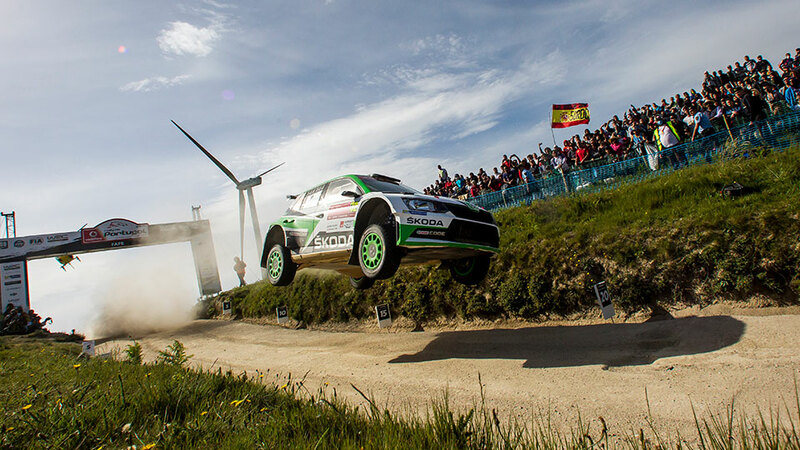 Three of the ŠKODA FABIA R5 drivers competing in this rally can still win the WRC2 Championship title, Esapekka Lappi, Jan Kopecký and Teemu Suninen, who won the WRC2 category in Wales last year, driving ŠKODA FABIA S2000. More about the ŠKODA FABIA R5s taking part in this year’s Wales Rally GB in our ŠKODA Customer Teams’ Preview on Wednesday. Watch this space. Johor, southern Malaysia ; 28th to 30th October; 5th round of FIA Asia-Pacific Rally Championship; gravel event, 14 special stages, around 227km competitive distance. This event saw a ŠKODA ‘one-two’ result last year with Pontus Tidemand / Emil Axelsson taking the win from Gaurav Gill / Glenn Macneall, with both driving FABIA S2000 cars; Gaurav Gill has won all four events completed so far in this year’s APRC, with Fabian Kreim finishing runner-up each time as well. Guairá, southern Paraguay; 28th to 30th October; 7th round of Paraguayan Rally Championship; gravel event, 13 special stages, around 172km competitive distance. Gustavo Saba / Diego Cagnotti won this event last year in a ŠKODA FABIA S2000 by a margin of almost 2 minutes. Boxberg/Oberlausitz, eastern Germany; 28th to 29th October; German Gravel Rally Cup; gravel event, 13 special stages, around 180km competitive distance. Matthias Kahle has a great record at this event, having won in 2004, 2005 and 2012, and finished runner-up in 2007, 2011, 2015, all in ŠKODA cars; Back in 2011, ŠKODA cars secured a ‘one-two-three’ finish at this event, with Ruben Zeltner’s OCTAVIA WRC finishing ahead of Kahle and Mark Wallenwein who were both driving FABIA S2000s.